Groot Constantia, I regard as the cradle of the South African Wine Industry. It was here, under the ownership of former Dutch Governor Simon van der Stel that the wine industry really began in a form of seriousness and structure. 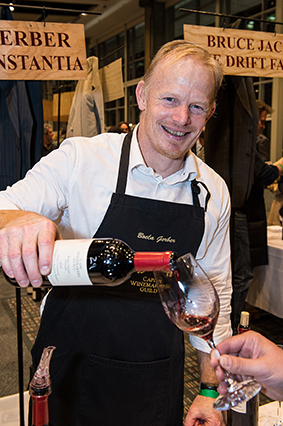 Simon van der Stel wrote copious notes about wine, winemaking, cellar hygiene and vineyard care. The Estate went through its golden era when Constantia Wines were adored in Europe and were found in the cellars of King Frederick IV of Prussia, William Pitt the Younger in England and regular shipments were taken to Napoleon when he was in exile on the island of St Helena. Today the mantle of winemaker falls on the shoulders of the award-winning winemaker Boela Gerber and his assistant Rudolph Steenkamp. The vineyards are carefully cared for by Floricius Beukes who has made more than a significant difference to the quality of grapes harvested from them. The Groot Constantia Pinotage 2016 is a fine expression of the quality of wine produced on this historic estate. The Groot Constantia Pinotage vines are grown on Glenrosa and Cartref soils on south to south east facing slopes. Cooling diurnal breezes from the Atlantic Ocean and nocturnal breezes off False Bay ameliorate hot summer days and allow for longer hang time for the bunches before ripening and resulting in greater flavour in the final wine. 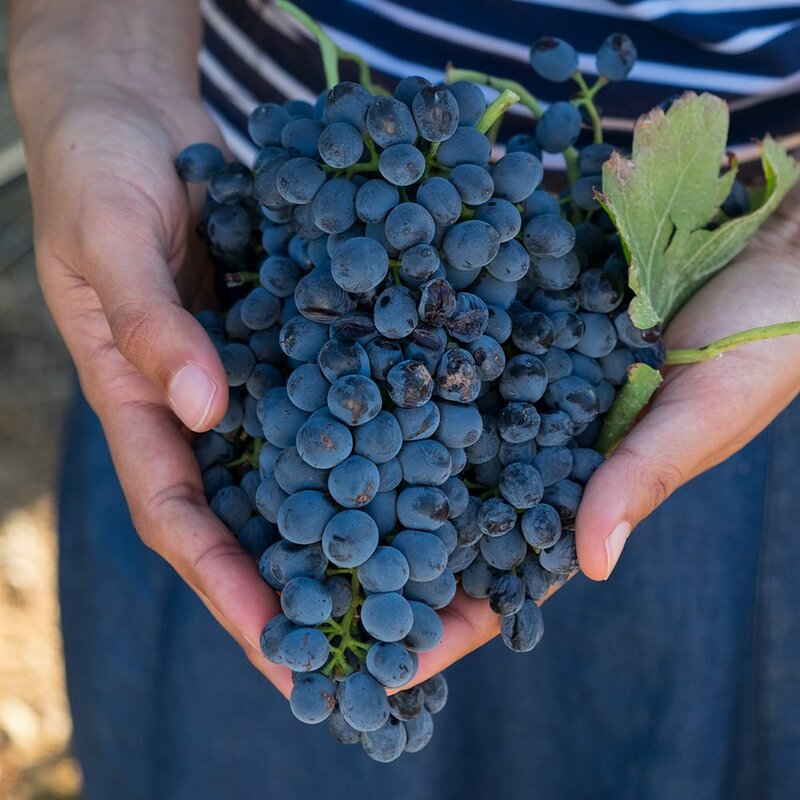 The grapes for the Groot Constantia Pinotage 2016 are hand harvested and brought to the cellar for fermentation during which time pump-overs take place four times a day for gentle extraction of colour, flavour and silky tannins. The wine then spent 14 months in 43% new French oak barrels, 23% in 2nd and 31% 3rd and 3% 4th fill barrels. After maturation, the wine was prepared for bottling. Bottled under natural cork in a Bordeaux bottle with Constantia embossed in glass just below the neck. 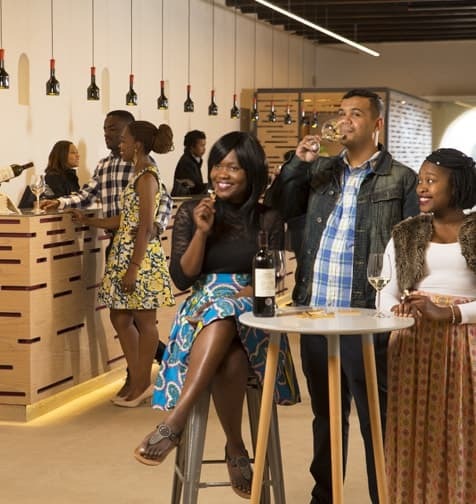 This is an indication that the wine is made from grapes from the Constantia Wine Appellation. The label is elegantly styled with an etching of the Manor House. In the glass, it is a deeply dark bloodplum red which pales out to purple garnet at the edges. Interestingly is takes red fruits from its Pinot Noir parent, these are evident on the shape of cherries, fraise de bois and ripe red plums. Oak and its vanilla and spices are in undertowe. From entry, an elegant freshness which runs through to the long and gently waning aftertaste. The wine unfurls itself to fill the palate with a generous brushing of the red fruit detected on the nose. Slightly sour plums. The oak casks with their ‘sweet’ vanilla and fruitcake spices make a significant contribution supporting the fruit. The acidity and tannins in the wine point to good ageing if properly cellared. Fine, aristocratic wine. As a glass on its own when the need for a good red wine arises. It is a perfect partner to South African Dishes like spicy Boerewors off the braai, a dish of Bobotie or a waterblommetjiebredie, as they are now in season. Here is my recipe. I have found it best to use a combination of thick rib – which adds a little flavourful fat to the dish – and lean shoulder. Many of the old Cape recipes, advocate using “a bit of sheep’s tail to add a bit of fat”, and others recommend “nice fat leg of lamb”. It is important that the flowers be just opening with the calyces still bright green. 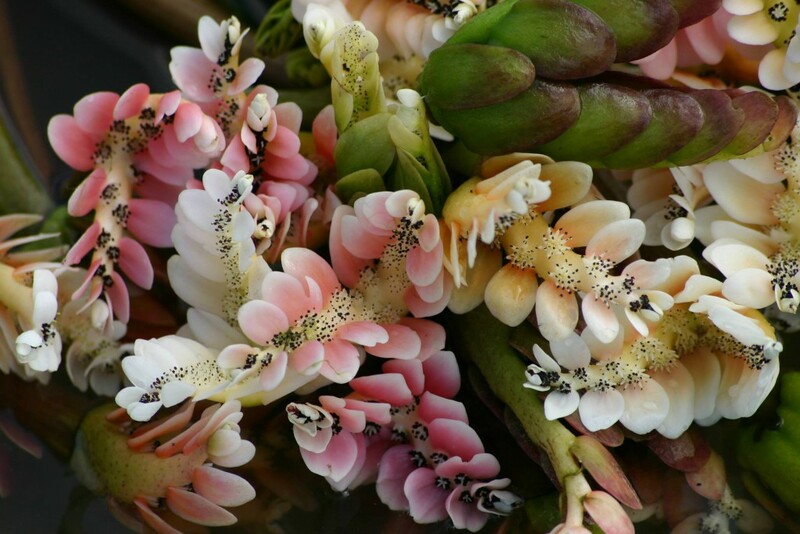 To prepare them, remove any of the black centres of the flowers. They need to be soaked in lots of salted water and then rinsed through well in a couple of basins of freshly drawn water. 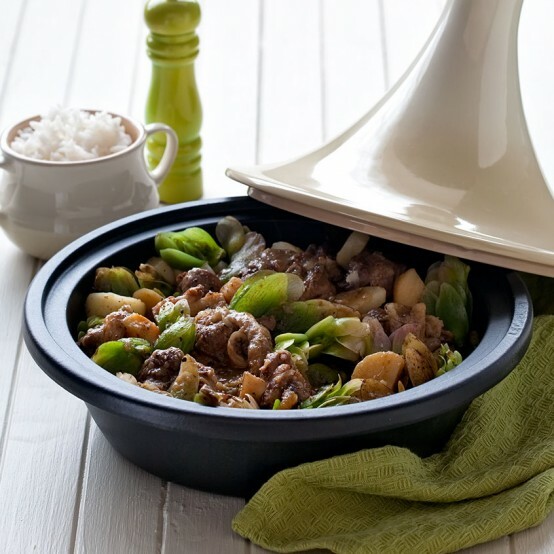 You’ll need: 2 kgs waterblommetjies – prepared as above, 6 medium onions, peeled & finely sliced chopped, 2 Tbs sunflower oil – more if you need it, 3 small green chilis – seeded & chopped, 6 fat cloves garlic – peeled & chopped, 3 fat slices of ginger – peeled, 3 kg lamb – use I kg thick rib with bones & 2 kg boned shoulder, sea salt, freshly milled black pepper, 6 allspice berries, 4 cloves, half a nutmeg, grated, 250ml full bodied red wine, 1 litre good beef stock or demi-glace, 2 handfuls wild sorrel – lemon juice or tamarind juice can also be used, 1 kg medium potatoes – peeled & quartered, 1Tbs brown sugar. Method: In a heavy bottomed ovenproof casserole with a tight-fitting lid, gently fry the onions in the oil and as they start turning golden, add the chilis, garlic and ginger and continue frying until golden. Remove drain on kitchen paper. Brown the meat in batches keep the temperature high. Keeping the browned meat aside on a plate. Pour off any excess oil from the casserole and wipe out with a kitchen paper towel. Return meat [with any juices which may have collected on the plate] and onion mixture to the casserole. Season well with sea salt, freshly milled black pepper and add the allspice berries, cloves and nutmeg. Add the wine and stock and braise either on top of the stove or in a 180C oven for 1½ hours. It is a good idea to cool the dish at this stage and refrigerate overnight to allow the flavours to mature. If you don’t have the time, continue with the recipe. Following day, reheat the casserole gently. Place the sorrel on top, then the blommetjies and finally the potato. Sprinkle over the sugar and spoon over some of the sauce. Steam, simmering gently for a further 1½ hours either on top of the stove or in a 180C oven. When ready to serve, stir through gently and serve with steamed white rice and wedges of lemon.